Our focus at ORbee Consulting is on the design and development of analytical tools and techniques for corporate decision making support in life science related businesses, and corporate consulting services. Company frameworks include portfolio optimization and simulation for portfolio selection; risk assessment and mitigation strategies; capacity planning and resource allocation for a portfolio of clinical trials; optimal deal structuring and negotiation strategies; clinical supply optimization and simulation. Founded in 2004, by Dr. Vladimir Shnaydman, ORbee Consulting is committed to providing the highest quality of service in our quest to meet and exceed client expectations. 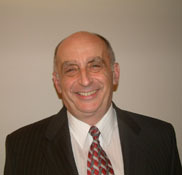 Vladimir Shnaydman, Ph.D, is President of ORbee Consulting. Vladimir has a B.S. & M.S. in Electrical Engineering & Computer Science, an M.S. in Applied Mathematics & Operations Research, and a Ph.D. in Engineering. Dr. Shnaydman has contributed to many industries such as biotechnology, computer networking, data storage, water resource planning and management, telecommunications, and transportation. Vladimir has published more than 50 papers and is co-author of three books.